As the second largest economy in the euro zone, there is a wide range of scope for business activity in France. However, in today's challenging economy, your transactions and projects are best guided by an established and trusted advisor who will help you grow and succeed. Our Paris office, founded in 1978, is one of France's leading providers of legal and business solutions. At Dentons, you have access to a comprehensive package of legal support across a broad range of sectors and practices, locally and cross-border. We have a dedicated team based in Paris to manage our Francophone Africa practice. With 11 practice groups dedicated to specific areas of business law, you will benefit from expert advice precisely tailored to your needs. Dentons' team combines professionalism with business knowledge and commercial insight. Specializing in transactional matters, dispute resolution issues involving both civil and common law concerns, in either international or French-speaking environments, our lawyers will handle your business challenges efficiently and effectively. Bacardi and Company Limited: Advising on their intellectual property/trademark, design, unfair competition matters in France, Russia and CIS, and coordinating a new bottle clearance in more than 16 countries, before their worldwide launch. The global set-up of this process was very challenging from a strategic point of view; therefore, our assistance was a crucial part in the success of the new product. BBVA, Bayern LB, HSBC France, Nord LB, Société Générale, SMBC and BTMU: Representing the lenders in connection with the construction project of the new Paris Courthouse, which will consolidate the Paris court services, currently located in the very center of Paris, in an immense new 48-story, 160-meter high building designed by Renzo Piano in the Batignolles business park. The building will be completed in 2017 and will be operated by the company Arélia through a public-private partnership (PPP) contract. This project is mainly financed by a €593 million loan facility granted by a pool of banks. This matter is the second-largest PPP building construction project in France after the French “Pentagon Project” (the construction of the future headquarters of the French Ministry of Defense) for which we have also advised the lenders. Canadian pharmaceutical company: Acting as counsel in an ICSID arbitration against a North American State regarding breaches of foreign investment protections contained in the North American Free Trade Agreement (NAFTA). Cypriot automotive holding company: Acting as counsel in an ICC arbitration regarding the implementation of a shareholders’ agreement designed to control a leading automotive logistics group. ESI Group: Advising the global supplier of end-to-end virtual prototyping software on their acquisition of ICIDO Gesellschaft für innovative Informationssysteme GmbH from several venture capital funds and former founding shareholders. Faurecia: Advising a subsidiary of Peugeot SA in connection with a €1,150,000,000 multi-currency refinancing (incorporating a €150,000,000 swing-line facility). Important pharmaceutical company: Representing before the Commercial Court of Nanterre, in a litigation proceeding initiated by another pharmaceutical company in relation to the consequences and settlement terms of the termination of a longstanding quasi-worldwide contract for the distribution of the other pharmaceutical company’s products; the dispute consists of alleged breaches and requests for forced production of documents; the alleged damages are claimed to be up to €20 million. Multinational dairy products corporation: Advising and assisting the second largest dairy products group in the world and the second largest food products group in France on all tax aspects of its acquisition policy across Europe with special focus on the markets in Germany, France and Poland. Among the different specific services, our tax lawyers mainly focused on tax structuring work, an in-depth tax due diligence, financing schemes and Transfer Pricing schemes. Leading multinational high-tech company: Representing company in a major ongoing patent litigation in France (on the merits and preliminary injunction) regarding the continuity of the sale of some of its products in France. Natixis, Dexia, Société Générale, Crédit Industriel et Commercial (CIC) and BBVA: Advising lenders of a consortium composed notably of Bouygues Bâtiment Ile de France, Exprimm, Thales Communications, Sodexo France, Dalkia France and Caisse des Dépôts et Consignations (CDC), in connection with the public-private partnership construction of the future headquarters of the French Ministry of Defense in the “Balard” suburb of Paris. This matter is the largest ever PPP building construction project in France. Omnium Group: Representing a French real estate finance and construction group in proceedings to prevent a judicial conciliation and a potential liquidation procedure of the Omnium Group. Following disputes stemming from a merger between certain business lines of its main competitor, the Laurad Group and in related litigation with the Laurad Group, through a “conciliation proceeding” submitted to the Commercial Court of Nanterre. Dentons partner’s objection to judicial conciliation over the €100 million dispute was successfully settled through substantial payments to Omnium Finance, which recovered a very significant portion of the Laurad balance sheet obligations, paid its own creditors and was able to continue its business and avoid commencement of its own judicial insolvency liquidation proceedings. Rio Tinto Alcan: Representing Rio Tinto Alcan, the Canadian division of the Anglo-Australian Mining group Rio Tinto, in the sale of two industrial sites in France to the German aluminum group Trimet. The French minister of Industrial Renewal, Arnaud Montebourg, attended our office for the negotiations. The French government was closely involved in the transaction which will result in the preservation of 510 jobs in the Savoie and Tarn-et-Garonne areas. SNCF: Counsel to the French National Railway Company (SNCF) in connection with the monetisation of receivables in the amount of EUR 952.2 million owed by a transport organisation authority, by way of issuance of notes listed and admitted to trading on Euronext Paris. Natixis and Crédit Agricole Corporate and Investment Bank acted as joint bookrunners for the issuance. This represents the first transaction monetizing public receivables of this size. Stryker Corporation: Advising the world leader in orthopedic medical technology on the $162 million acquisition of 100 percent of the share capital and voting rights of privately-held Memometal Technologies S.A., a leading international designer and manufacturer of surgical implants for orthopedic extremities. The acquisition of Memometal provided Stryker with the platform to further establish the company as a key player in the rapidly growing foot and hand segment of the extremities market and created a strong presence in the podiatric surgery market. Total, SA: Advising in connection with the sale of its French solar energy subsidiary Tenesol to SunPower Corporation, a US company listed on the Nasdaq stock exchange, for US$165.4 million. Tenesol is a leader in the French market for large industrial and commercial solar installations, with operations in 18 countries and solar panel manufacturing facilities in France and South Africa. Warner Chilcott: Assisting a US pharmaceutical group specializing in feminine health and skin care on all French aspects of the acquisition of the worldwide ethical pharmaceuticals division of Procter & Gamble. We also advised Warner Chilcott in Germany and Spain. Worldwide transaction value was estimated at $3.5 billion. Since then Warner Chilcott decided to reorganize substantially its European activities, and we have been advising on all corporate, commercial, regulatory and labor aspects of its 2011/2012 reorganization in France. Dentons is proud to congratulate 15 lawyers from the Firm’s global Tax practice, who have been recognized in the Tax Controversy Leaders 2018 client guide by International Tax Review, a leading international tax publication. Gun-jumping practices are at the center of competition law news in this autumn 2018. After the record fines imposed on Altice by the French Competition Authority in November 2016 and by the European Commission in April 2018 (respectively €80 and €125 million), the President of the French Competition Authority thought that it would be useful to highlight in an article the practices that companies should avoid when implementing their mergers. By a judgment published on 30 May 2018, the Court of Cassation's social chamber confirmed its own case-law concerning the professional travel time of an itinerant employee between his home and his customers' premises, strictly applying article L. 3121-4 of the Employment Code (Court of Cassation, social chamber, 30 May 2018, No. 16-20.634). Dentons has appointed partner Séverine Hotellier as France Managing Partner for a three year term from 2019 to 2021. 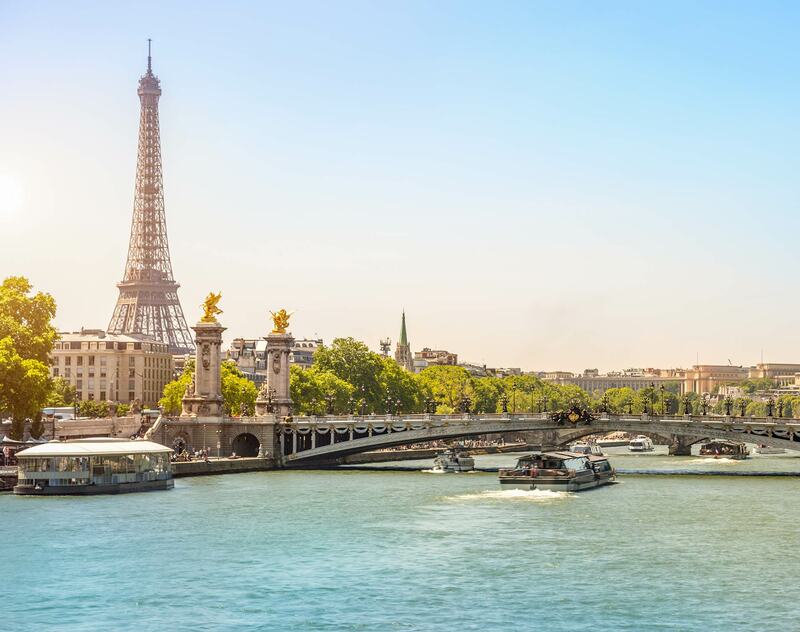 She will be responsible for managing the Paris office, Dentons’ largest office in continental Europe, and for leading the firm’s commitment to innovation.